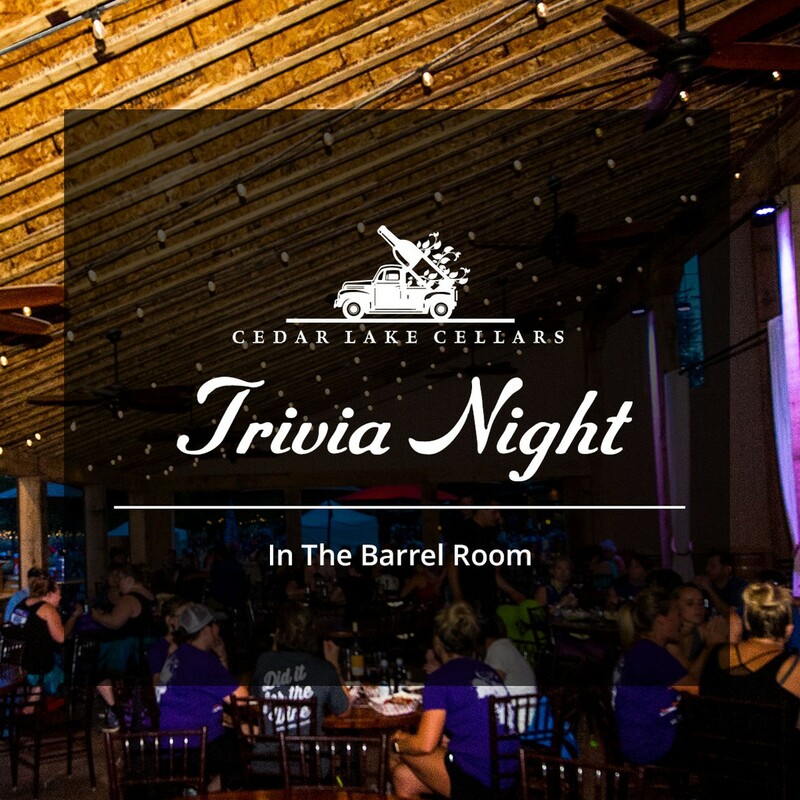 Cedar Lake Cellars, a year-round winery and event venue, will host trivia nights. 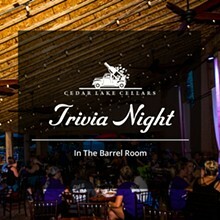 Doors open at 5 p.m., and the event is held from 7 to 10 p.m. Disc Jockey Debbie Quarternik from Travelin’ Tunes, which specializes in trivia nights, will serve as the evening’s host. The free event includes door prizes and giveaways for guests 21 years of age and older. Teams and individuals are welcome. Appetizers and drink specials are available for purchase.